My photo walk this morning turned out to be a bird walk. All the photo opps that presented themselves were birds, and they were real “posers”, as in posing for the camera. It was a great morning for a walk: some filtered sunshine, no wind, and relatively mild temperatures for February….somewhere approaching 40 degrees Fahrenheit. It’s a good thing I took my walk early, however, because, by mid-afternoon when I went grocery shopping, the wind had picked up and the sun was AWOL. So let’s take a little bird walk, shall we? You won’t even need your coat or binoculars. 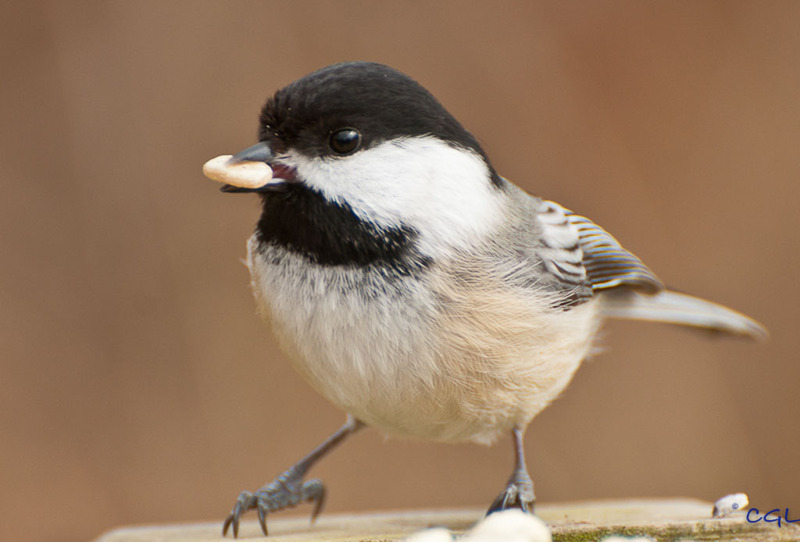 Just enjoy the beauty of our feathered friends. 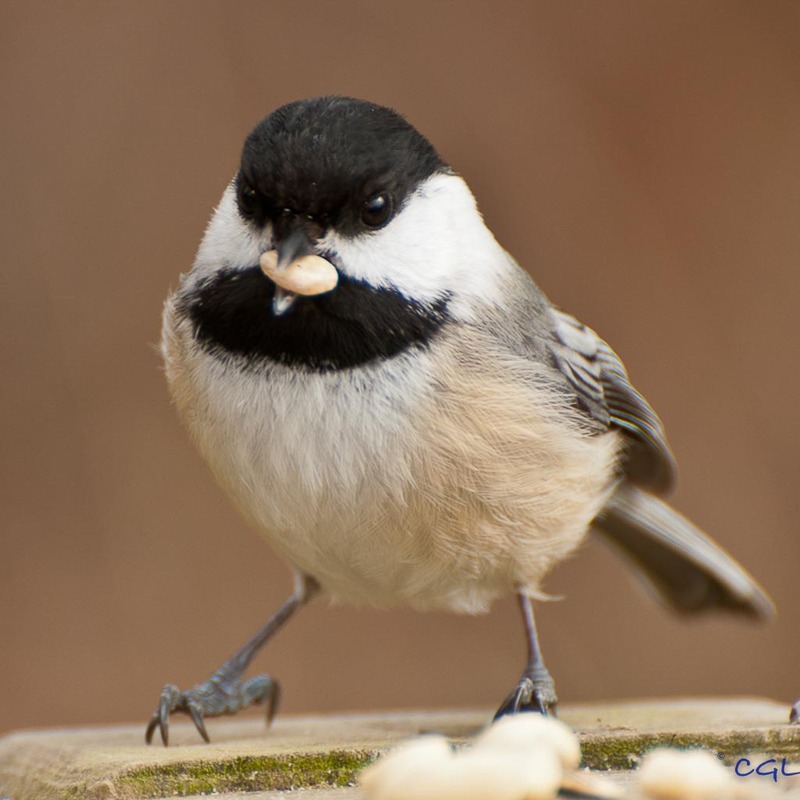 The black-capped chickadee is never camera shy. Put down a few peanuts, and he zips right into camera range. Can you believe those spindly legs can hold him up? 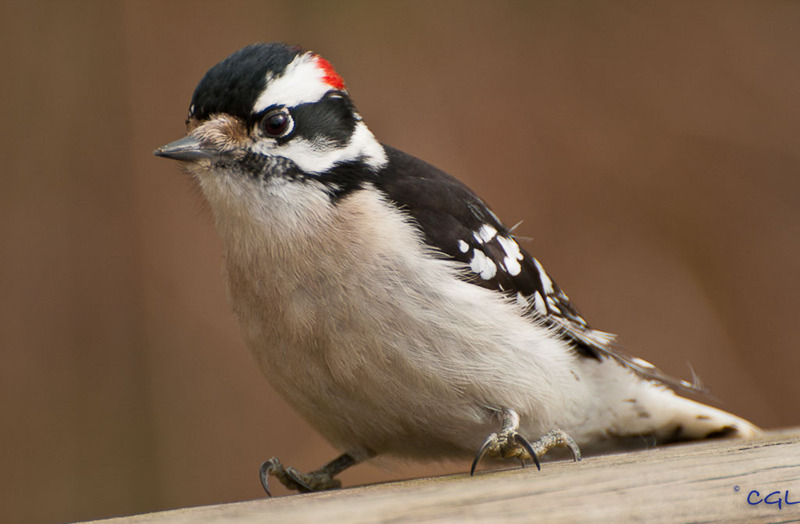 And my favorite for the day: the downy woodpecker. His antics are comical to watch as he lands on the bench and waddles (Truly, he waddles) down the back of the bench until he reaches the peanuts. Here he paused in mid-waddle long enough for me to snap off a few shots. This one was the best of the bunch. Woodpeckers are much more adept at flying and drilling holes in trees than they are at walking, but they get where they want to go, and this little fellow got his peanuts. That’s the end of the bird walk for today. I saw more, but these were the pick of the lot. I hope you enjoyed them. If you’re wondering where the deer are today, I was wondering too. Yesterday they were all over the place. Today I didn’t see a single deer. You just never know what you might encounter on a walk in the woods. Thanks for visiting the south shore of Lake Erie today. See you soon. 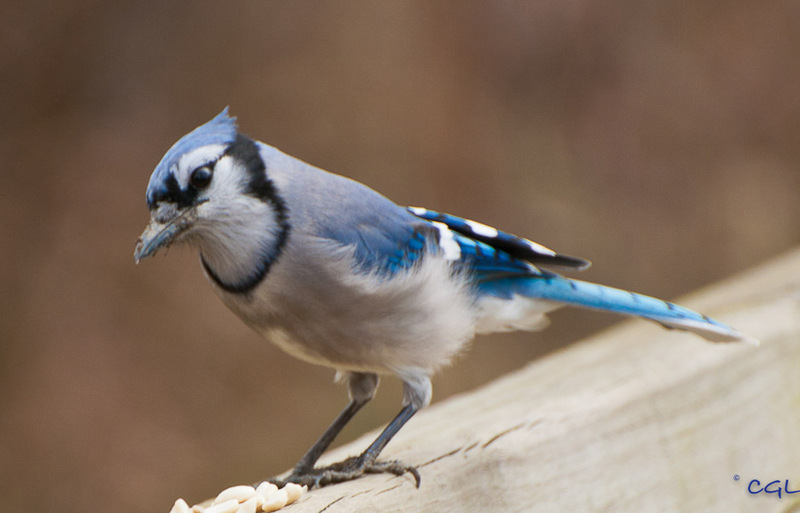 Blue Jays are my favourite…right after penguins, but I doubt you’d run into those on your morning walk. I had to settle for the Jays. Lovely pictures!! The smaller birds appear to be walking on their “tippy-toes.” Beautiful shots Skip! The weather, the cold and the rain, has me down tonite, I have been looking all day for something to jolt me out of my blues, and when I saw your very wonderful photos of the birds, I was so touched… the blue jay is a favorite bird of mine, as I am from east Texas where they are regular visitors, down here in central Texas, not so much. Seeing a jay is a real treat for me. 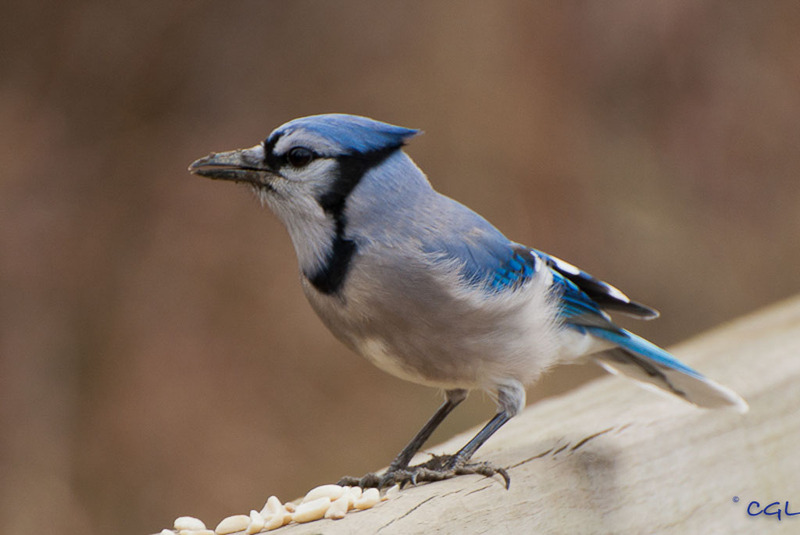 Of every picture I have ever seen of the Blue Jay, these are the most moving, very sweet, thank you so much. I am glad to know my favorite friends have happy lives with you up in Lake Erie! Thanks again, great work! You have made me very happy in turn, knowing that the birds lifted you out of your blues. Thanks for letting me know.